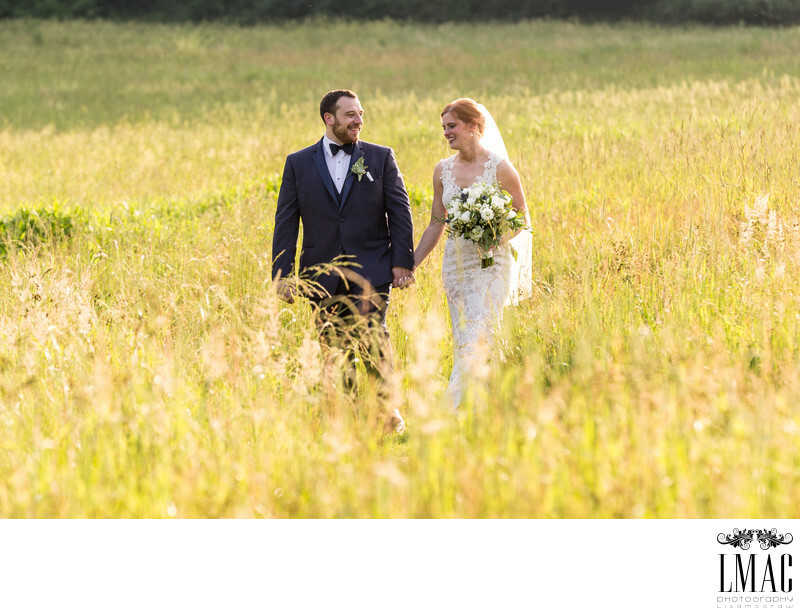 Angela & Michael opted for an Akron, Ohio barn wedding held at Conrad Botzum Farmstead. This venue features a beautiful red barn, and vast golden fields. It's very picturesque and lovely for wedding photos. The venue can accommodate both ceremony and reception. Angela & Michael choose the venue for both ceremony and reception. When editing their photos, we kept a lot of the true color...vivid reds and golds. Micheal selected a more formal tux for the event; bow ties are always more formal. Angela selected a beautiful lace gown with a v-neckline and shoulder straps. The bouquets were simple featuring wild flowers that matched the venue beautifully. This wedding was held on a sunny day in NE Ohio. Location: 3486 Riverview Rd Akron, Ohio 44313.